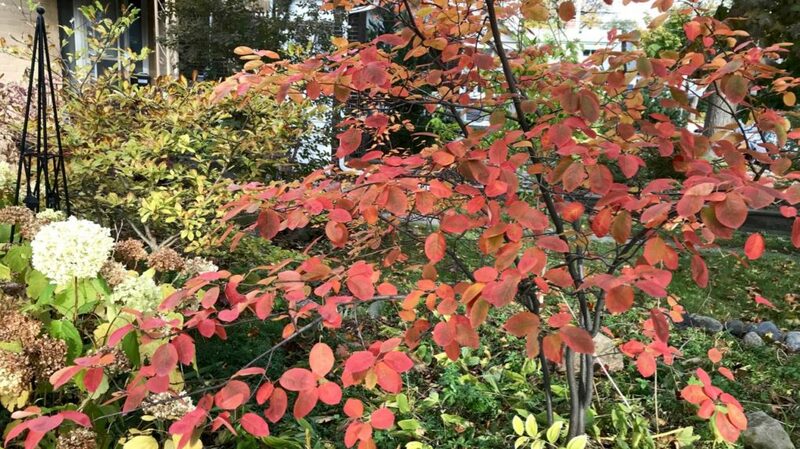 While planting the first 300 of my far-too-many bulbs today, I felt I’d earned the right to pause for a moment and admire the red fall foliage on my serviceberry (Amelanchier). The sun had scooted under the clouds and was making the leaves just glow. Amazing. This year’s glow seems stronger than last year’s. However, when I look at this picture of our front yard five years ago, the colour is comparable. 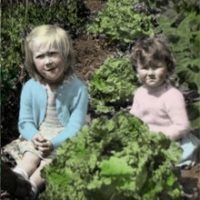 But, five years later, there are more leaves to enjoy. Glad I did. What a great genus this native North American tree is. I’m unsure of the species of mine. It was bought so many years ago that I’ve lost track. 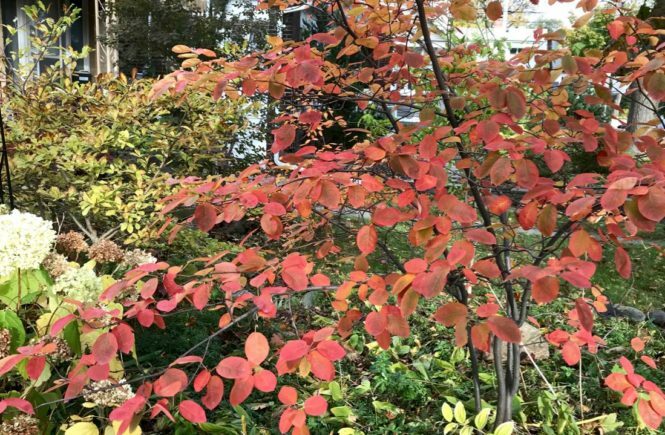 With lovely spring flowers, edible fruit (see our post from 2009 for pictures of both), and generally compact size, it’s no wonder that serviceberry is so popular for city gardens. Hopefully the wet, windy weather over the rest of the weekend won’t blow all that beauty away. 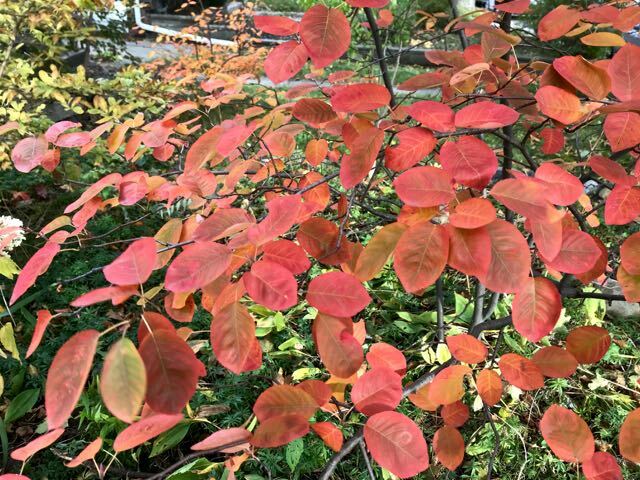 Love, love, love watching my serviceberry out my large window at this time of year. Every day the colour intensifies.